Step 1: Go to https://books.google.com/. 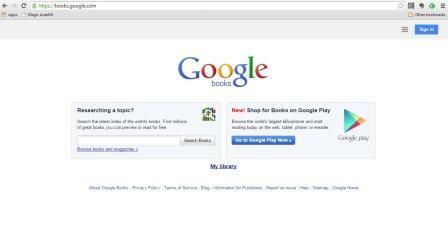 Enter the book or author name that you would like to search for and hit the ‘Search Books’ button. Step 3: If you are interested only in free ebooks: Click on ‘Search tools’ option in the top part of the page. Then click on ‘Any View’ and finally select ‘Full View’ from the drop-down menu. 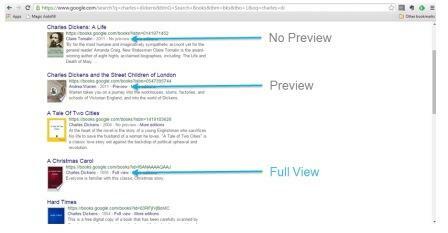 Step 4: Scroll to the book of your choice and then click on ‘Full View’ hyperlink. Step 5: You could scroll through the entire book, on the next page. However, if you would like to download it for later reading, hover on the red tab ‘EBOOK-FREE’ on the left hand side. You will now see the option to download the book in various formats such as PDF and EPUB. Click on the format of your choice to download it to your device. Tip: In case you have searched using the authors name and find the book you are looking for – but that book has restricted access (Preview or Snippet View) or no access (No Preview); check if it shows the option/hyperlink of ‘More editions’. Clicking on this link may bring up a different edition of the same book which has Full View access and can thus be downloaded. Does this help you access/download the book that you have been searching for? 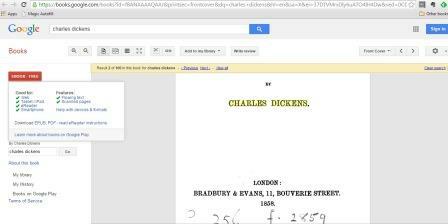 Do you have other tips that can help others in searching and finding books on Google Books. Share your comments below!